You just made the best decision ever by investing in the Muscle Imbalances Revealed! In just a minute you’ll get access to the #1 performance, fitness and rehabilitation program designed to give you the tools to bust through training plateaus, get faster performance results and rapidly recover from injuries and stay injury-free for life. But first you have a one-time opportunity to upgrade your Muscle Imbalances Revealed Program to the Deluxe Package. 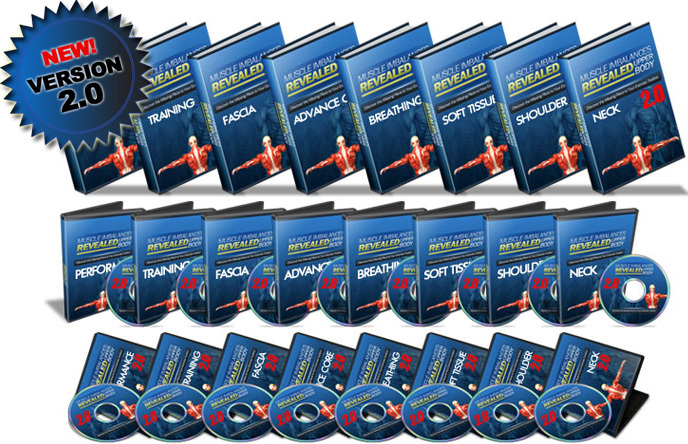 The Deluxe Package includes the lower body edition of Muscle Imbalances Revealed which will give you all you need to improve performance, fitness and rehabilitation results for the lower body – best of all you’ll save over $157! The best thing with the Deluxe package is you get everything when it comes to Muscle Imbalances Revealed. You get digital access to everything, a bunch of assessments for your tool box, a stack of exercises you can use right way and a years worth of CECs. The cool thing is you get it all right now. 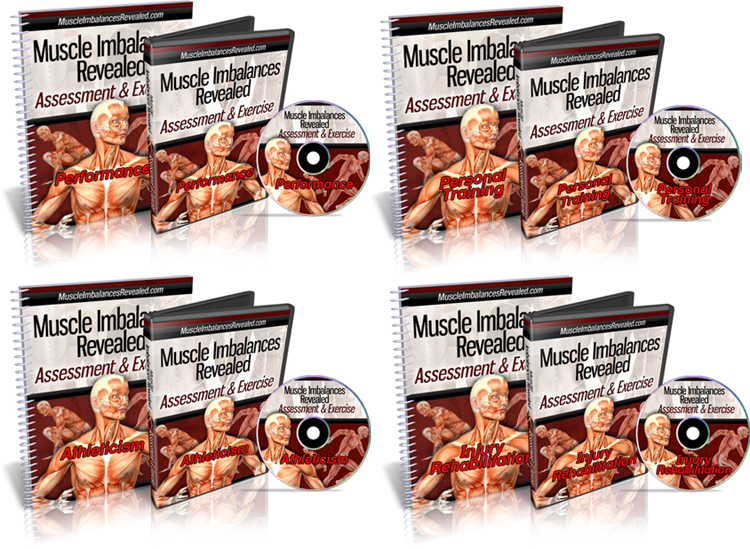 Specifically talking about Muscle Imbalances Revealed – Assessment & Exercise (MIRA). You will get instant access to MIRA. This will give all the assessments and exercises to identify and address muscle imbalances in the body, in order to improve performance, athleticism, personal training and rehabilitation results. Nick Rosencutter, Anthony Mycal, John Izzo and Rick Kaselj will share all of their knowledge and experience when it comes assessment and exercise. This is the original Muscle Imbalances Revealed – Lower Body Edition 3.0 (MIRL) has information is very applicable, up-to-date and will help you right away with many of the performance, training and fitness issues that people have for the lower body. Plus, you get the expertise of Mike Robertson, Bill Hartman, Eric Beard, Kevin Yates, Dean Somerset and Rick Kaselj. The 6 experts share all they know with you in MIRL. In Muscle Imbalances Revealed – Upper Body Edition 2.0 (MIRU), you will get instant access to all the tips, tricks, tools and exercises to address muscle imbalances in the upper body, in order to improve performance, fitness and rehabilitation results. Tony Gentilcore, Dr. Jeff Cubus, Dean Somerset and Rick Kaselj will share all of their knowledge and experience when it comes to upper body performance, corrective exercise, core training, fascia fitness, breathing, modalities, neck training and shoulder rehab. No thanks, just the $39 basic package please. I realize that the Deluxe Packages are only available as an add-on to my current order today (and at no other time), but I’m okay with that.